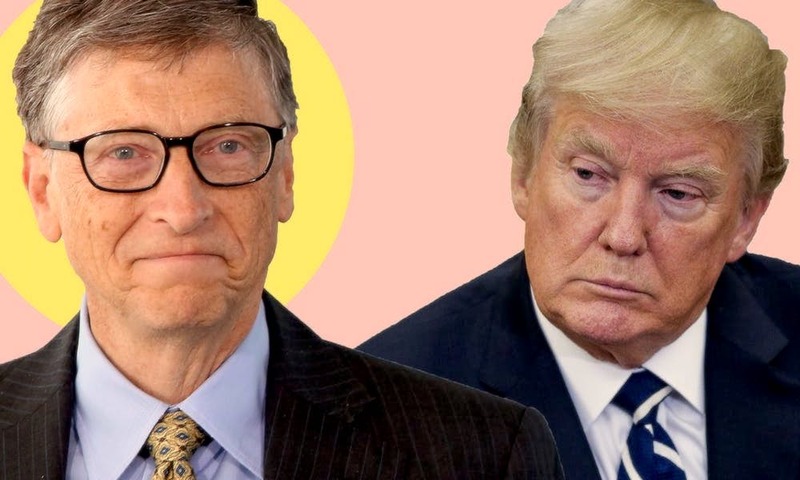 In recently revealed footage, Microsoft co-founder Bill Gates had some interesting things to say about his encounters with President Donald Trump. The video footage depicts Gates taking audience member questions at a Bill & Melinda Gates Foundation meeting. The video was recently obtained and aired Thursday by MSNBC’s All In With Chris Hayes. Gates said he first met Trump in December 2016 but added that the President had previously met with his daughter, Jennifer Gates, at a Florida-based horse show. “He went up and talked to Jen and he was being super nice,” Gates said. During his first actual meeting with President Trump, Gates recounted that he had referred to himself in the third-person. “His first sentence kind of threw me off, he said: ‘Trump hears that you don’t like what Trump’s doing.’ And I thought, ‘Wow… But you’re Trump?’” So I didn’t know if the third-party form was what was expected. ‘Gates says, Gates knows that you’re not doing things right,’” the Microsoft co-founder joked. Gates added that he had discussed science-based questions with Trump before he was elected on two separate occasions. During both of those meetings, Gates said that Trump asked him about vaccines, as well as the differences between two sexually-transmitted diseases.